Vintage Turntable Design for the Analog fan out there. 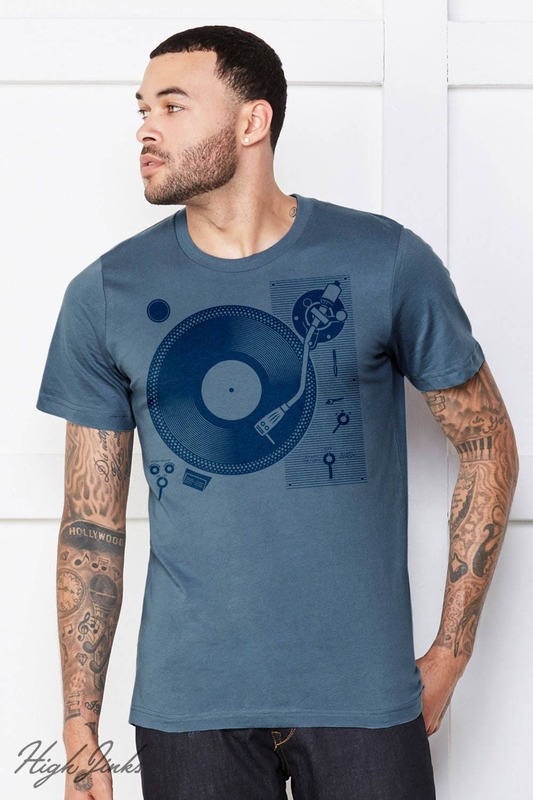 Put the needle on the record and show some vinyl pride. 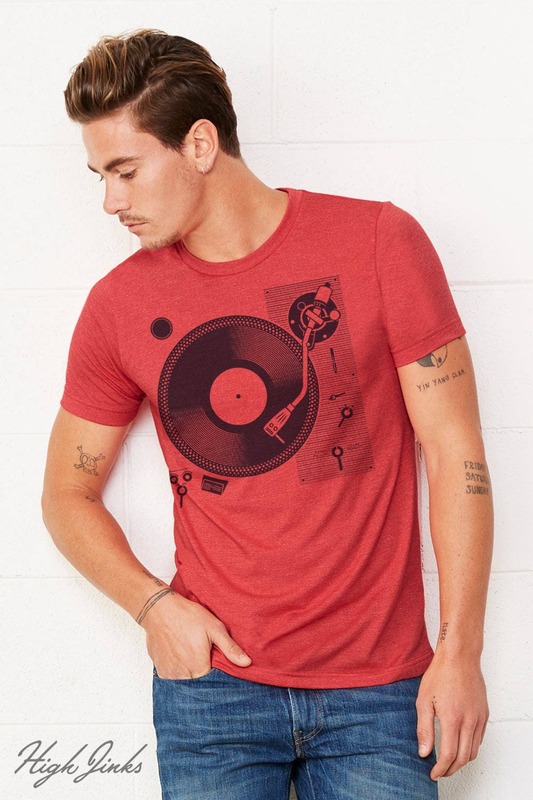 Designed and Illustrated by Jon Arvizu for a true vintage look. 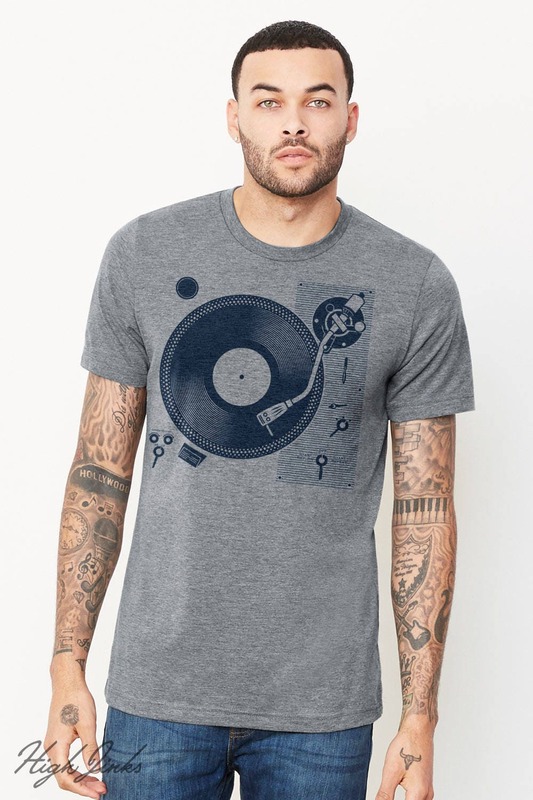 This super soft blend t-shirt is printed with water-based ink and only gets softer over time. excellent product & service highly recommend for vinylists. I bought this for my husband and he absolutely loves it and wears it every week! The design is beautiful and the material is nice and light. So soft and comfortable—with a great design that always gets positive comments when I'm out walking around. I will order more shirts from High Jinks for sure!